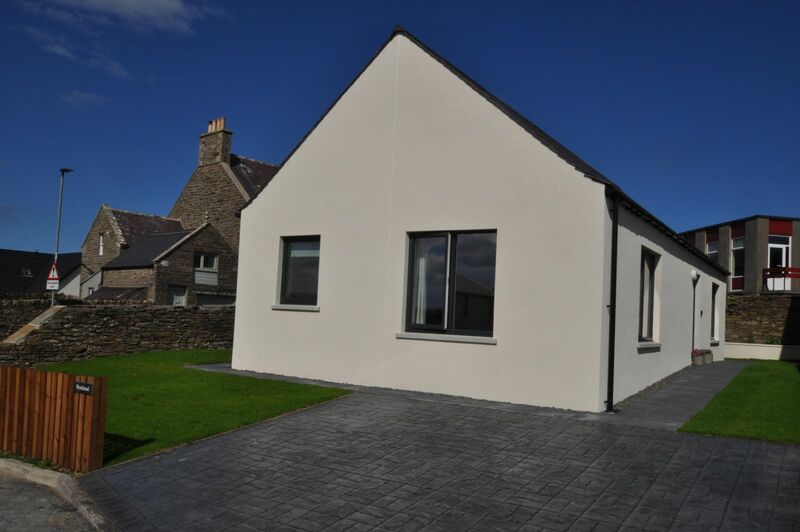 Pentland Self-Catering is a new bungalow completed in August 2017. Located in a small, private housing development in Kirkwall, the property benefits from a quiet yet central location in walking distance of the main shopping street, restaurants, bars and tourist attractions as well as the Kirkwall Travel Centre. Furnished to a high standard with oak furnishings throughout, full central heating and free unlimited Wifi, Pentland Self Catering aims to offer a real home from home; the perfect base for your time in Orkney. 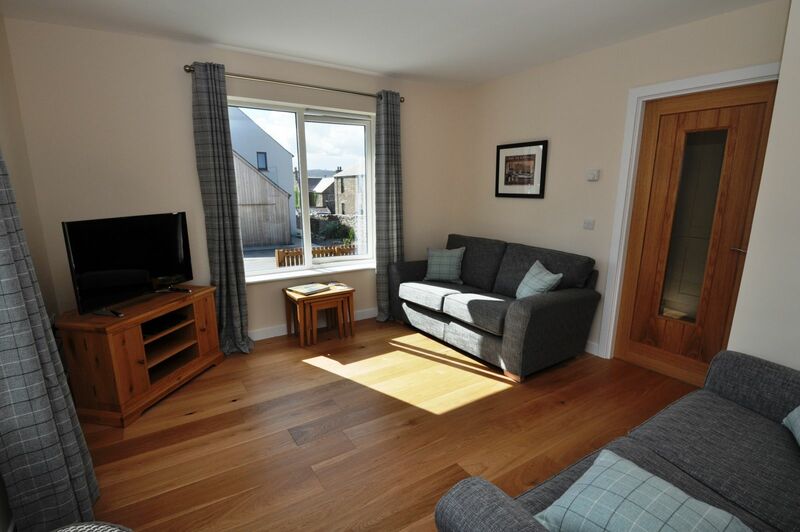 This cosy and comfortable room includes 2 fabric sofas, oak furnishings, a 40” smart TV, DVD player and Iphone docking station/radio. There are also a selection of DVD’s, books and board games for you to enjoy. 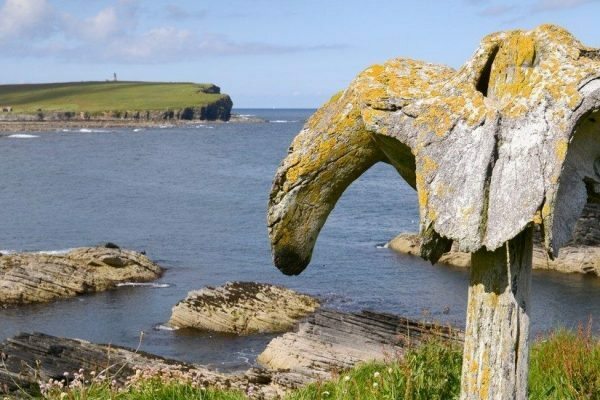 The perfect place to relax and unwind after a day exploring the island. 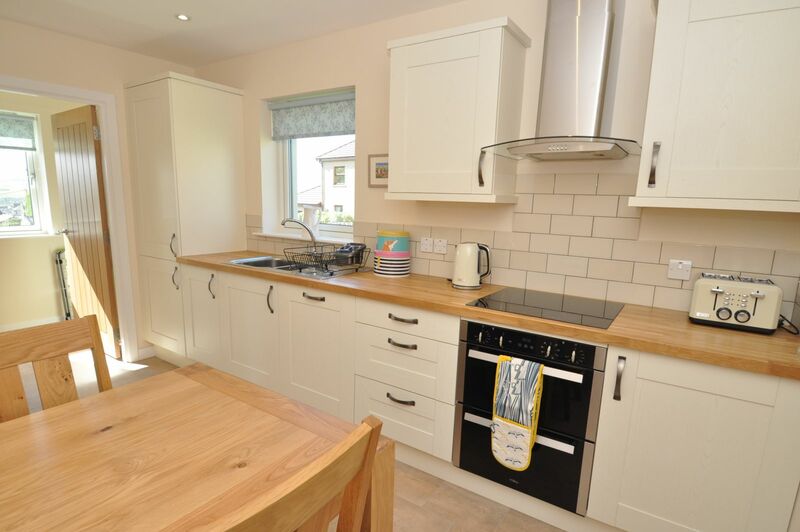 The fully equipped kitchen with solid oak worktop, double oven, electric hob and dishwasher also has a dining table and chairs to seat 4 people. 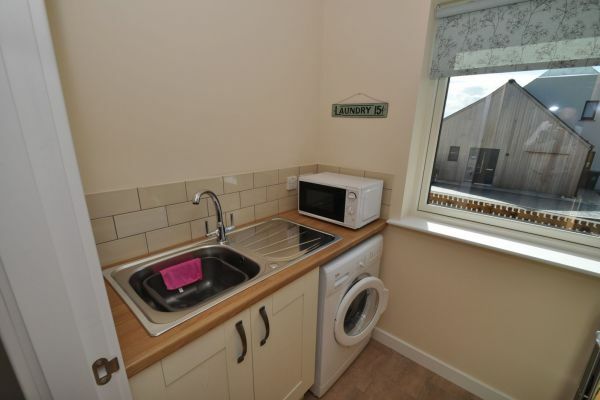 Includes a washing machine, microwave, airer, iron and ironing board. Washing capsules are also provided for our guests’ use. 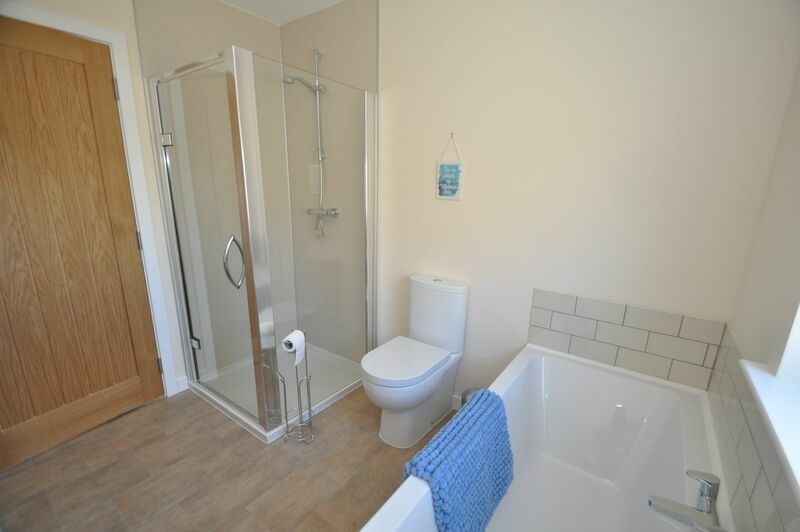 This room has a bath, separate shower, toilet, basin and electric towel rail. 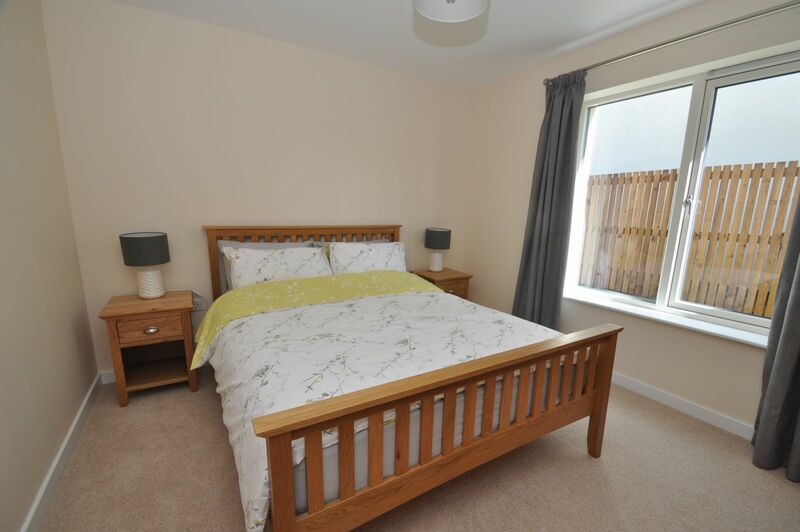 This comfortable room includes a King size bed with bedside tables, wardrobe, tallboy and an LED TV. 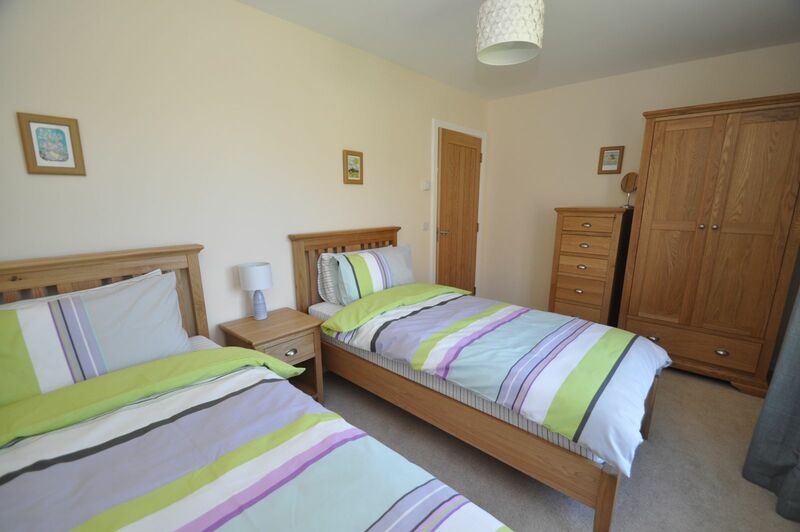 With twin single beds sharing a bedside table, tallboy and wardrobe. There is private off-street parking for 2 cars and a small garden area.